Lionel Messi was delighted his hat-trick contributed to victory over Brazil, insisting the sheen was not taken off by the fact it was a friendly. Messi was the headline act in a wonderful match between the South American giants in New Jersey that saw Messi seal a 4-3 win with a superb third goal. Romulo, Oscar and Hulk were on target for Brazil, with Federico Fernandez notching the goal that tied the score at 3-3. Speaking afterwards, Messi said: "This kind of triumph make us stronger as a team and group and helps us to grow up even more. Despite being a friendly, it is always nice to defeat Brazil. I'm also very happy with my three goals, it's not common see seven goals in Argentina versus Brazil." Argentina fielded a near full-strength side, while Brazil opted for a younger-looking Olympic-style squad. His side's selection policy clearly found favour with Messi. He said: "It is very nice to play with huge players like Sergio Aguero and Gonzalo Higuain. This result is good for and for for them, for all my team-mates." Messi also revealed he had swapped shirts with Brazilian ace Neymar. "He always spoke well of me," he said. "He is a great player and after the match we exchanged shirts." Argentina boss Alejandro Sabella was pleased by the efforts of his side but understandably by Messi in particular. 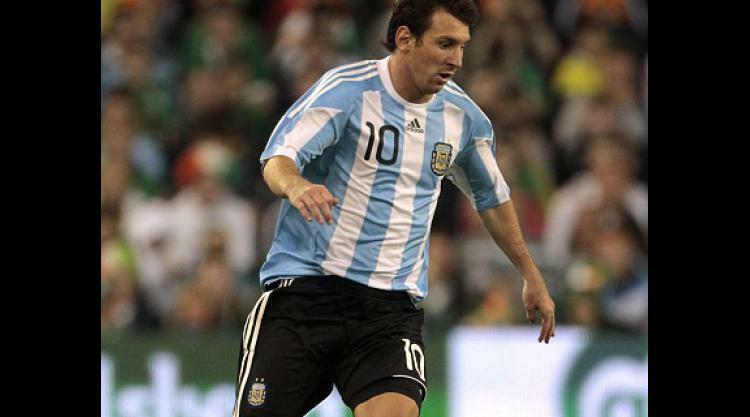 "Fortunately, Messi is Argentinian and we can enjoy him," he said. "Messi is an extraordinary player and he has been for a long time. In the national team his recent performances have been good for us and today's game was great. "We played against a team who have a great attacking power. It was a very exciting duel for the crowd." Manchester City star Aguero was equally blown away by his strike partner's performance. He said: "He does not surprise me anymore. He is the world's best player, no question about it. He won three (FIFA) Ballon d'Or and he is competing for another one. He will be the best player in the world until he retires."